Capitalism’s crises are deepening. Many are seeking alternatives. Ruling-class elements, fearing the alienated masses, are promoting “democratic socialism” (or Social Democracy). Workers must “consider it a crime to shoot each other down in the interest and for the profit of capitalism.” The ruling classes were afraid of workers’ revolution. And they should be. World War I broke out in 1914. Most of these socialist parties treacherously abandoned proletarian internationalism. They rushed to “defend the fatherland.” They lied that socialists “had not decided” the question of war. World socialism split in two at the 1915 Zimmerwald Conference. On the other side: Russian Bolsheviks and others — like Liebknecht and Luxemburg in Germany — who upheld the call for revolutionary civil war. This “Zimmerwald Left” would become, in 1919, the core of the Third (Communist) International. Just two years later they led masses to take power in Russia. This split between social democrats and communists exactly paralleled the long-simmering split between opportunism (trade-union reformism) and revolutionary politics. In both cases, social-democracy exposed itself as the junior partner of capitalism. Social-democrats were happy to put forward radical-sounding slogans that helped the rulers distract the masses from revolution. And when the rulers needed to mobilize the masses for world war, the social-democrats openly substituted patriotism for class struggle. The defeat of the German empire in 1919 opened the door to revolution. The German Naval Command ordered a desperate final battle with the British Navy. German sailors led revolts in Wilhelmshaven and Kiel. Civil unrest spread and the emperor abdicated. Leaders of the powerful Social Democratic Party of Germany (SPD) prevented the establishment of workers’ power. They opposed the creation of councils (Soviets) of workers and soldiers like the ones that the Bolsheviks had created in Russia. Instead, they continued their tradition of class collaboration and reformism. They created a parliamentary system that included German capitalists and their army. The new Communist Party of Germany (KPD), inspired by the Bolshevik October Revolution, led a general strike and armed uprising in January 1919. Their newspaper was Die Rote Fahne (“The Red Flag”). Workers rose in Berlin, Hamburg, the Ruhr, Bavaria and many other parts of Germany. They were suppressed by anti-communist Freikorps (militia) thugs, in bloody street battles, on orders from the SPD leadership. Key KPD leaders were assassinated. The KPD regrouped and grew as part of the Communist International. It became the largest communist party in Europe. 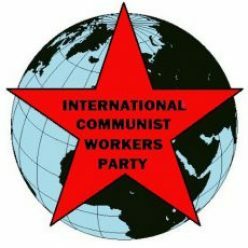 In Germany, as elsewhere, the democratic socialists of the 2nd International fought bitterly against the communists of the 3rd International. We have learned from their mistakes to mobilize masses for communism, now and always.